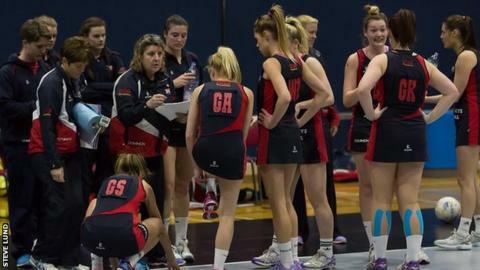 Team Jets head coach Linda Andrews says the Jersey side will learn from their 50-40 loss to Grangetown in Netball's Premier League Two. The islanders trailed from the first quarter as their six-game unbeaten run came to an end in Middlesbrough. "It's always a learning curve and we're in this league to learn - today that's what it was about," Andrews told BBC Radio Jersey. The island side are now fifth in the 10-team league. "If you don't have a challenge in your play then you're not going to learn," added Andrews. "We weren't at our best, but sometimes some teams don't allow you to be at your best."